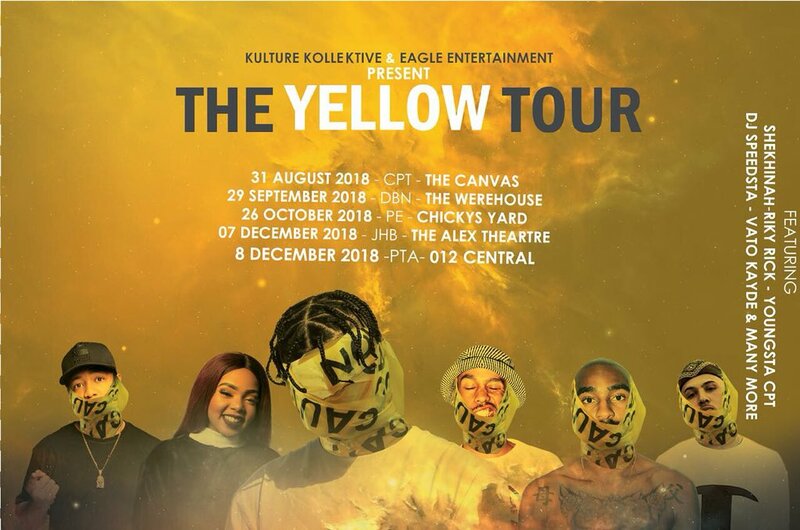 After winning multiple awards and achieving millions of streams for his debut album Yellow, Shane Eagle is going on a national tour! The tour is open to all ages. However, ID will be requested at the bar. Fans can expect live performances from Shane Eagle and special guests Shekhina, Riky Rick, YoungstaCPT, DJ Speedsta, Vato Kayde & many more. They’ll also be exclusive merchandise, hard copies and a musical & visual experience like no other.